It’s like a double whammy losing Ralph at this time of year. He died on February 1, early on in tax season and just as Ed and I were working on the “Where Your Income Taxes Really Go” flyer. It’s also just when baseball season is starting up. Players are heading to spring training and tickets are on sale. 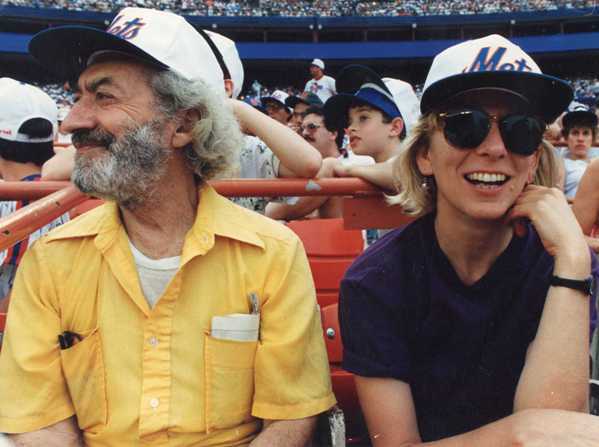 Normally, Ralph and I would be talking about how many pie charts to print and whether we would be able to get tickets for opening day at Shea. Way back in 1956 Ralph asked the board of WRL not to withhold income tax from his pay. He had joined the staff the year before and thus became the first war tax resister on the WRL staff, the first to press the organization to take a stand against cooperating with the IRS. It wasn’t until 1981, after various collection efforts and a court case, that the IRS took money from WRL’s bank account for four years of Ralph’s many years of refusal to pay war taxes. He joined the staff as the League’s Administrative Secretary and went on to coordinate the office and many tasks under one title or another (titles didn’t really matter to Ralph) for the next 52 years. He oversaw hundreds or thousands of mailings in all those years and was responsible for nearly every calendar that was shipped out of the office for decades. But he was an activist at heart, enjoying the worldwide contacts made through the WRL national office and always ready to show up at the next demonstration. All that’s not to say that he didn’t enjoy wider attention. He was ecstatic when he went to hear Joan Baez once in Germany, met her in person, and had her recognize him from the stage. What a thrill—and from someone that he had respected for so long. Ralph appreciated hard work and playing hard. He was impressed with WRL people who got stuff done—wrote books, gave speeches, counseled war resisters, organized and acted in demonstrations, produced good resources, got publicity for WRL—and he loved the community that could be found in WRL. He wouldn’t miss the events, dinners, conferences, even the full weekend national committee meetings—a long day of meetings was always a great excuse to get out, have a few beers, and lots of laughs. At the time I joined the staff in 1987 things were in a bit of a lull. There had been a good deal of staff turnover, membership had dropped, and the direction of the work was a bit unsettled. Ralph reminisced about the parties and weddings and sense of community that seemed to be lacking at this time. But then things picked up a bit. For a brief time the staff started having gatherings at a nearby bar to talk about “the staff collective,” a question of how to structure the staff that resurfaces every few years. Over beers we would try to talk out some of the difficult issues. There probably weren’t too many of these full staff gatherings, but over time “discussing the staff collective” became the code words for Ralph and I to go out for a beer at the end of the day. “Discussing the staff collective” sounded like an important reason for getting home late, and we probably did talk about office stuff, but Ralph was interested in all kinds of things—whatever was in the news, politics, music, vacations, sports, friends, and family. Was there ever a prouder grandfather? He may not have been a star in the wider peace movement, but he was a shining example for all of us. He did this incredible thing of refusing to go to war, refusing to participate in killing, even though he didn’t know anyone else who was taking that stand. It’s no wonder he found a home in WRL, where individual resistance and support for individual resisters was at the heart of the founding of the organization. Ralph went about the every day work, but he represented a challenge to us all: would I follow my conscience even if I’m the only one? Thank you, Ralph, for being who you were and doing what you had to do—with persistence and a big smile. Leafletting and Mets photos by Ed Hedemann. 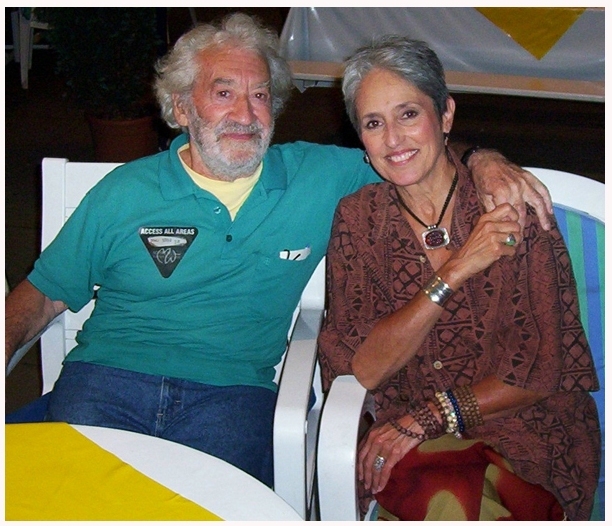 Ralph and Joan Baez photo by Daniel DiGia.